It’s the first thing they think about every morning and the last thing before bed. Their days, weeks, months and years revolve around it. They are champions on their most difficult, rewarding path that separates them from all competition. Self-perfection burns in their hearts. They aim to be the very best, and to win. Always. In this practical and captivating guide to athletic excellence, former US Ski Team conditioning coach Dr. Steve Victorson and sports journalist/coach Robert Yehling show how the best competitors on the planet get there. Through over 60 interviews, anecdotes and stories, and drawing from Victorson’s doctoral dissertation, the authors demystify the champion’s way through 11 specific qualities that all champions master. 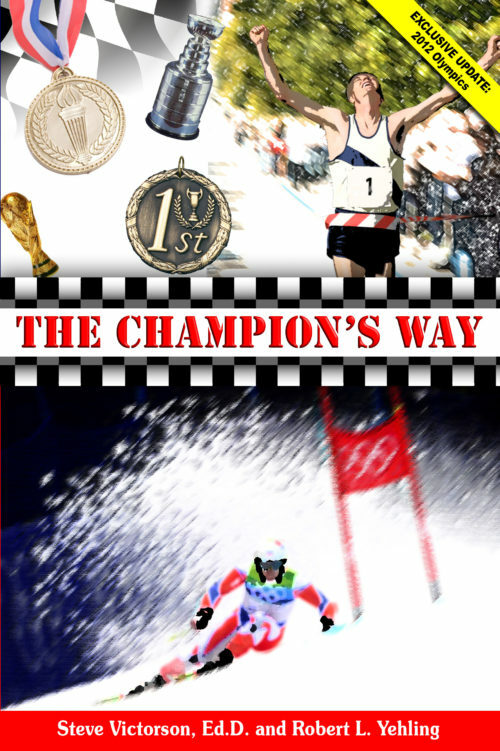 The Champion’s Way offers a path for anyone in pursuit of excellence. Only the greatest get there – but the possibility lies within each of us. For athletes, sports fans and those inspired to achieve their very best in any pursuit, this book will show a path that many have discussed, but few have revealed.